WARSAW, Poland (AP) — Polish rescue workers on Sunday found the bodies of two miners after an earthquake hit a coal mine in southern Poland. Three other miners remain missing some 900 meters (2,950 feet) below ground since the quake hit Saturday morning in the mine, located in the town of Jastrzebie-Zdroj, close to Poland's border with the Czech Republic. The head of the Jastrzebie Coal Company, Daniel Ozon, said a doctor confirmed the two fatalities and identification of the victims was underway. The first victim, initially identified by Ozon as a 38-year-old man, had been trapped under some metal. Ozon said the identification still needed to be confirmed by DNA tests. The second miner was found a few hours later, trapped in the rubble, he added. More than 200 workers were involved in the rescue operation, working through twisted machinery and metal parts to get to the area where they expect to find the missing men. Ozon said emergency workers were pumping air into the affected area to lower the level of methane gas before they can safely move ahead. A minor quake Sunday afternoon briefly delayed rescue efforts as it released more methane into the search area, Ozon said. After the quake hit, four miners were rescued quickly but seven others went missing. Two of the missing were later found alive and have been hospitalized. 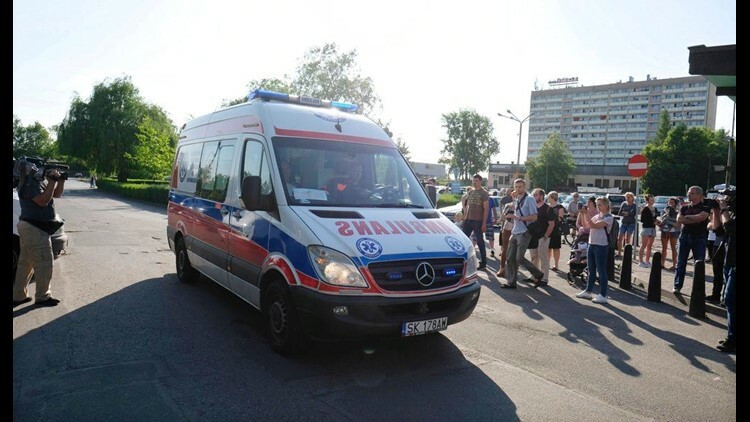 Prime Minister Mateusz Morawiecki and President Andrzej Duda travelled to the town, visiting the hospitalized miners and meeting with their families and some of the rescuers. Duda extended his condolences to the victims' families. Authorities have launched an investigation into the accident. It was not clear if coal extraction would resume Monday. Poland's State Mining Authority said the temblor had a magnitude of 3.4, while the European Mediterranean Seismological Centre pegged it at 4.3. TVN24 said the quake was also felt on the surface and shook some houses. Coal mining is a major industry in Poland. Coal remains the main source of energy and heating in the country but Poland is taking some steps to shift toward renewable, cleaner sources of energy. The Main Statistical Office said some 65.8 million metric tons (58.7 million tonnes) of coal were extracted last year in Poland, some 4.8 million tons less than in 2016. Still many of Poland's mines are dangerous, with methane gas that has led to a number of deadly explosions and cave-ins. So far this year, six miners including Sunday's casualties have been killed at different mines, according to the State Mining Authority. In 2016, eight miners were killed in a cave-in at the Rudna mine in Polkowice and methane explosions killed five miners at the Myslowice-Wesola mine in 2014.